On August 10, 1927, Calvin Coolidge, 30th President of the United States, spoke at Mt. 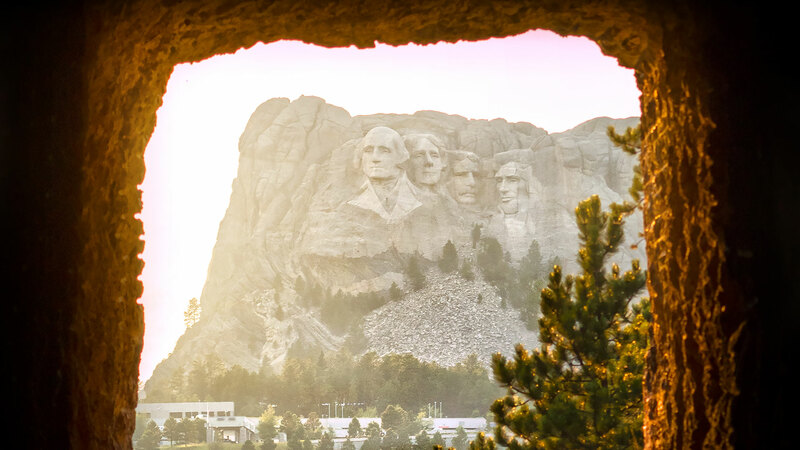 Rushmore to dedicate Gutzon Borglum’s visionary project that was to become America’s Shrine of Democracy. The 75th anniversary celebration kicked off with live broadcasts on NBC’s “Today Show” beginning at 5 a.m., Friday, August 16, 2002. The actual ceremony began at 7 p.m. on August 17 with a lighting ceremony, and included special guest Mary Ellis Borglum, daughter of the famous sculptor, as well as several people who attended the original 1927 dedication. Jim Cooke who had been portraying “Silent Cal” for 17 years in a one-man show entitled “Calvin Coolidge: More Than Two Words,” reenacted the 12 minute 1927 address. There was also a special exhibit of Calvin Coolidge’s saddle, boots, chaps, and cowboy hat. President George W. Bush paid a visit to the Shrine of Democracy on August 15, 2002, to help celebrate the anniversary and to deliver his message on homeland security. Next ArticleCharles Badger Clark, Jr.